How to Get Rid of Gingivitis? : Gingivitis is essentially a gum disease (inflammation of the gums) that results from a bacterial infection. When bacteria builds up in your mouth, the formation of plaque on the surface of your teeth and gums takes place. This later results in the spreading of bacteria which then leads to gingivitis. Besides poor oral hygiene, improper brushing is often a major cause of this condition. Swollen and bleeding gums are the most common early signs of gingivitis, which most people panic over. 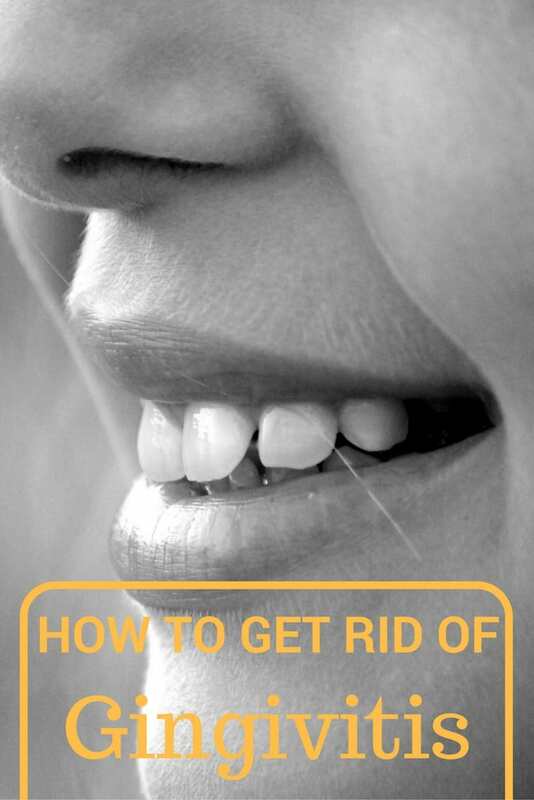 However, fret not, because this time, HNBT debunks some of the best ways to get rid of gingivitis. How to Get Rid of Gingivitis? The antiseptic and antibacterial properties present in salt make it an effective natural remedy for getting rid of gingivitis. It helps to treat inflamed and swollen gums while drawing out any infection in the mouth. Inhibition of the growth of bacteria is also promoted by your average everyday Sodium Chloride. To a glass of lukewarm water, add a teaspoon of salt. Once in the morning and evening, rinse your mouth with this solution until you see a reduction in the swelling. You can also mix half a teaspoon of salt with mustard oil so as to make a paste with which you massage your gums for one or two minutes. Rinse with warm water. Aloe Vera doesn’t just do wonders for your skin and hair but also for your teeth and gums. This is a great way to get rid of gingivitis as the aloe vera kills any bacteria that might be causing the gum disease. It also helps your gums to recover quickly. Squeeze out the gel from a fresh aloe leaf. Massage your gum with the gel. Allow the gel to settle for about half an hour. Be warned, however, that aloe vera isn’t sweet tasting. It’s rather bitter and it takes a while to get used to the taste of it. Must read: How to Get Rid of Fever Blisters? Oil pulling is also effective in treating gingivitis and in fact, is a very popular practise in Ayurveda. This process reduces the bacteria present in your mouth while strengthening gums and maintaining good oral health. Put a tablespoon of coconut oil or sesame oil in your mouth. Swish it around your teeth for about fifteen to twenty minutes. Do this once each morning before brushing your teeth for a month. At first, it might be difficult to hold the oil in the mouth, but this gets better with time. Be careful not to swallow the oil. Lemon juice aids in the treatment of most gum infections, and gingivitis is no exception. This is mainly due to the presence of Vitamin C in the lemon, which serves as an anti-inflammatory agent. Cut a lemon in half and squeeze the juice into a glass of warm water. Do this after brushing your teeth in the morning. If you find the lemon too acidic or sour to handle, then use the juice of only half a lemon. Baking soda is an excellent way to get rid of gingivitis. Baking soda is basic, hence it can neutralize the acids in your mouth that are directly linked to gum problems. It also inhibits the spreading of an infection in the gums. Place baking soda in a bowl of warm water. Apply this paste on your gums. Leave it on for a minute or two. Also read: How To Get Rid Of Bad Breath? Cranberry juice is a rich source of Vitamin C, thus helps increases body’s resistance to certain diseases including gingivitis. Cranberry juice prevents bacteria from sticking onto your gums and teeth. Always opt for fresh juice instead of bottled ones. Pick out fresh cranberry juice. Drink about four ounces of this juice every day. This helps to prevent further damage to your gums as it kills bacteria found in your mouth overall. You’ve probably used cloves to relieve a toothache that was gnawing at you. Apparently, cloves are also a great way to get rid of gingivitis. Clove is an antiseptic, anti-inflammatory, and antioxidant agent. Hence, it reduces swelling and also helps to get rid of the bacterial build up in your mouth. Chew on two or three cloves thrice a day. You could also rub clove oil on your gums and leave it on for a few minutes before rinsing. Add a few drops of clove oil to a glass of warm water. Rinse your mouth with this solution twice or thrice a day. Also read: How to Heal Mouth Ulcers? Hydrogen Peroxide kills all bacteria that cause gum diseases. The added benefit of this remedy is that it leaves you with brighter pearly whites. So if your teeth are stained or dull looking, look for a cure in Hydrogen Peroxide. Mix water and the Hydrogen Peroxide in equal proportions. Rinse your mouth with this solution right through the week. Guava leaves also provide relief from gum diseases such as gingivitis and toothaches as well. The have anti inflammatory, antimicrobial, analgesic and antioxidant properties, thereby preventing any plaque from accumulating on your gums and teeth. Chew guava leaves that have been washed thoroughly and spit them out. Repeat twice daily for a few weeks. Grind guava leaves and uses this as a toothpaste. Procure a mouth rinse that contains guava leaf extract. The antibacterial and antiseptic properties of peppermint make it effective in getting rid of gingivitis. It also helps to reduce inflammation and bacteria that causes bad breath. Soak a few crushed peppermint leaves in water for half an hour. Use this solution to rinse your mouth twice or thrice a day. Prepare a strong cup of peppermint tea and consume it between meals. You could also use it as a mouthwash. Peppermint flavored toothpaste also does the trick. Must read: How To Get Rid Of Phlegm? Red, swollen, bleeding gums? Now you know how to deal with it. These home remedies for gingivitis has been tried and tested and they surely do save you a trip to the dentist. Try them out and get back to us with your feedback!